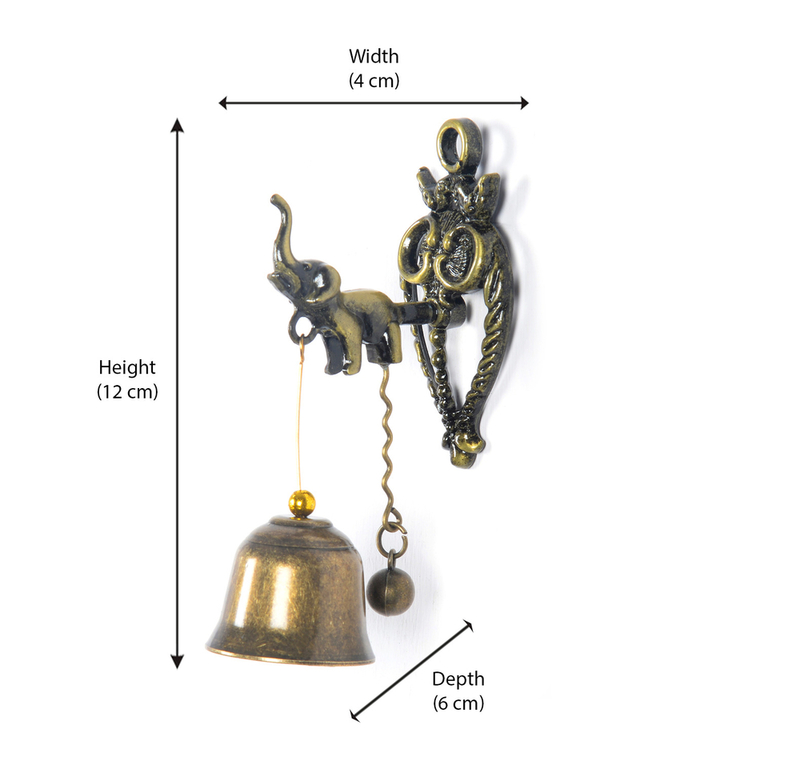 @home brings to you a beautifully designed elephant small wall magnet wind chime. It is a gold finished unique antique which would look wonderful in any living room, balcony or office. The dimensions of the product are 40 mm x 60 mm x 120 mm. It is made of high quality metal and weighs around 2 kg. The wind chime consists of an elephant figure with a big bell hanging down from its neck. A hanging circular magnet comes down from a point and strikes the bell and gives a beautiful sensation to the ears. This particular wind chime is perfect for decoration purposes and brings good luck. The perfect design makes it suitable for any environment be it casual or formal. Also, the gold finish brings it a classy look which will look great in any living room having a matching décor. Go check the @home website ASAP and order the elephant small wall magnet wind chime. You won’t be disappointed!